META REGALBAU is a supplier of office storage and filing systems, office shelving, metal shelves and mobile shelving systems. 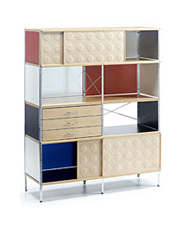 Italian manufacturer of high quality design modular shelves filing and storage systems. 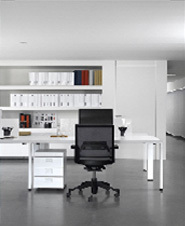 Office system furniture, partitions, seating, tables and desks, filing systems and other products for the workplace. Offers innovative storage and filing solutions including quality mobile and static shelving, office cabinets and filing systems. Offers a complete line of vertical large document filing systems, including drawer files, pin files and much more. 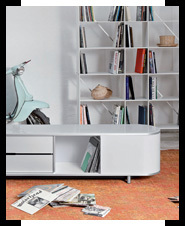 Offers furniture for information processing, storage and retrieval. 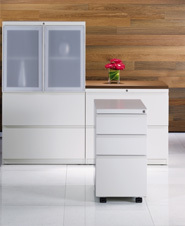 Manufactures corporate and traditional file systems and desks for the office. Offers office furniture and filing systems. 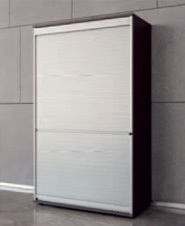 Provides shelving and storage solutions for for both office and hospital applications. Manufactures fine shelving and storage products for industry, librairies and offices. Offers filing systems and storage products for document management, filing, storage and other material management applications. Offers office furniture including desks and tables, computer stands and storage products. 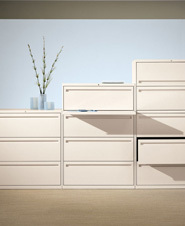 Offers filing and storage systems including mobile aisles, drawers, shelving and racks, mezzanines, benches and cabinets.